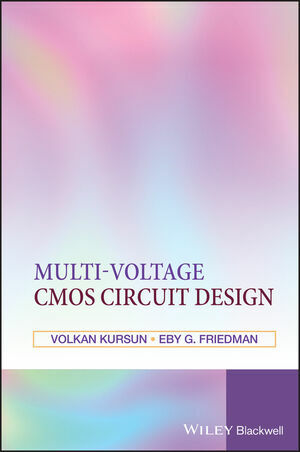 This book presents an in-depth treatment of various power reduction and speed enhancement techniques based on multiple supply and threshold voltages. A detailed discussion of the sources of power consumption in CMOS circuits will be provided whilst focusing primarily on identifying the mechanisms by which sub-threshold and gate oxide leakage currents are generated. The authors present a comprehensive review of state-of-the-art dynamic, static supply and threshold voltage scaling techniques and discuss the pros and cons of supply and threshold voltage scaling techniques. 1.1 Evolution of Integrated Circuits. 1.2 Outline of the Book. 2 Sources of Power Consumption in CMOS Integrated Circuits. 3 Supply and Threshold Voltage Scaling Techniques. 3.1 Dynamic Supply Voltage Scaling. 3.2 Multiple Supply Voltage CMOS. 3.4 Multiple Supply and Threshold Voltage CMOS. 3.5 Dynamic Supply and Threshold Voltage Scaling. 3.6 Circuits with Multiple Voltage and Clock Domains. 4 Low Voltage Power Supplies. 5 Analysis of Buck Converters for On-Chip Integration with a Dual Supply Voltage Microprocessor. 5.1 Circuit Model of a Buck Converter. 5.2 Efficiency Analysis of a Buck Converter. 6 Low Voltage Swing Monolithic DC-DC Conversion. 6.1 Circuit Model of a Low Voltage Swing Buck Converter. 6.2 Low Voltage Swing Buck Converter Analysis. 7 High Input Voltage Step-Down DC-DC Converters for Integration in a Low Voltage CMOS Process. 7.2 High Input Voltage Monolithic Switching DC-DC Converters. 8 Signal Transfer in Integrated Circuits with Multiple Supply Voltages. 8.1 A High Speed and Low Power Voltage Interface Circuit. 8.2 Voltage Interface Circuit Simulation Results. 9 Domino Logic with Variable Threshold Voltage Keeper. 9.1 Standard Domino Logic Circuits. 9.2 Domino Logic with Variable Threshold Voltage Keeper. 9.4 Domino Logic with Forward and Reverse Body Biased Keeper. 10 Subthreshold Leakage Current Characteristics of Dynamic Circuits. 10.1 State Dependent Subthreshold Leakage Current Characteristics. 10.3 Power and Delay Characteristics in the Active Mode. 10.4 Dual Threshold Voltage CMOS Technology. 11Sleep Switch Dual Threshold Voltage Domino Logic with Reduced Standby Leakage Current. 11.1 Previously Published Sleep Mode Circuit Techniques. 11.2 Dual Threshold Voltage Domino Logic Employing Sleep Switches.